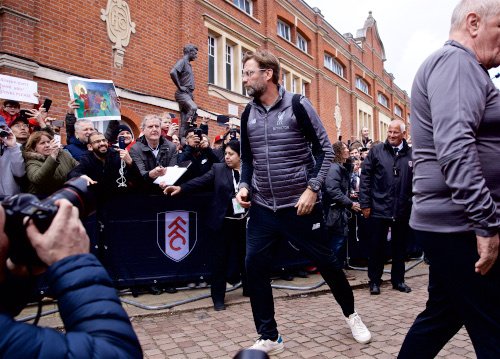 James Milner's late penalty gave Liverpool a 2-1 win over Fulham at Craven Cottage after Ryan Babel had struck against his former club to cancel out Sadio Mane's opener. Liverpool record a victory at Craven Cottage to go back to the top of the Premier League table. 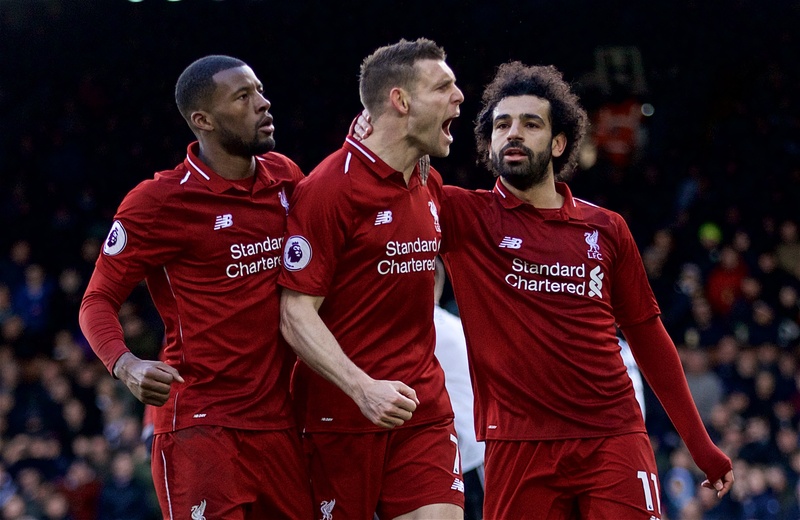 They needed James Milner's late penalty to clinch the three points after Ryan Babel had capatilised on a defensive mistake to cancel out Sadio Mane's first-half opener. A late yellow for Bryan for a late challenge on Mane. Salah is replaced by Sturridge for the final moments. Liverpool break and Mane feeds Salah, whose swipe towards goal is repelled by Rico. Wijnaldum is an inch away from a third Liverpool as his strike from the edge of the area whistles past the post. No mistake from Milner and Liverpool's lead is restored at Craven Cottage. Liverpool have a penalty after Rico's shove on Mane inside the box. 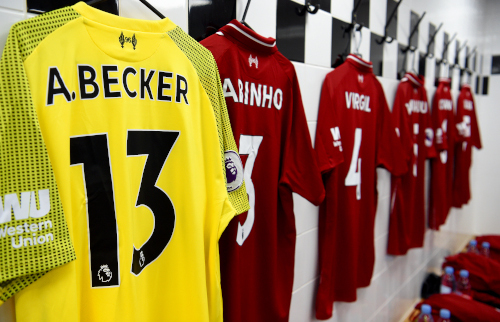 The home team draw level, but it comes via misjudgement between Van Dijk and Alisson. The former tries to nod a long ball back towards the latter, but Babel is able to steal in and it deflects off him and over the goalkeeper, allowing the ex-Red to tap in. Mane glances Alexander-Arnold's corner across goal at the near post. The ball crashes against the top of the crossbar and bounces behind. Here is the double change - Origi and Milner on for Firmino and Lallana. 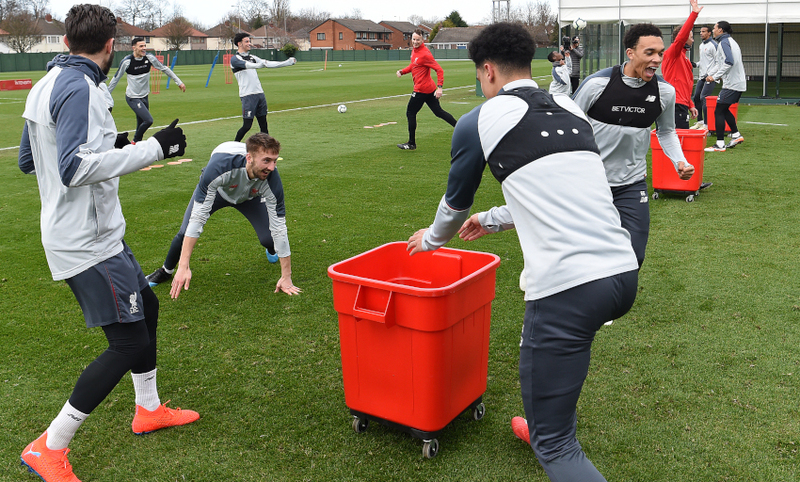 Origi and Milner being prepared for Liverpool. Fullham enjoying their best spell here. 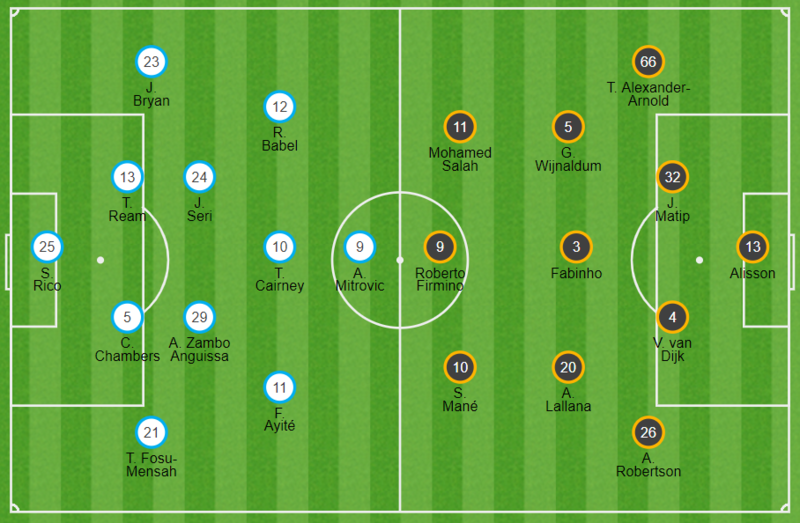 First they counter from a Liverpool corner through Babel and Ayite has a strike blocked by Robertson before Fosu-Mensah's effort from range is collected by Alisson. Wijnaldum wants a spot-kick after holding as he tried to meet Firmino's cross, but a corner is given. Anguissa sees yellow for a challenge on Mane. Sessegnon is on for the hosts, with Seri making way. Fulham have it in the back of the Liverpool net, but Seri Ayite is well offside when he heads in from close range. Van Dijk is so close to a second goal for Liverpool as he meets Fabinho's delivery to the back post from a short corner; however, Rico makes a fine flying save to keep out his header. Matip is an inch away from turning in Alexander-Arnold's corner. It'd just a touch too high for him to reach. Lallana stands a cross up towards the back post, where Wijnaldum gets underneath it and nods well over. Crucial challenge from Chambers stops Lallana getting into a shooting position inside the box. Then, Firmino's attempted flick from Wijnaldum's cross is blocked by a defender. Liverpool re-start the contest at Craven Cottage. Click here to place your bets with BetVictor. The tale of the first half tape, as told by Opta..
Sadio Mane's 25th-minute goal is the difference between the teams at the break at Craven Cottage. Fabinho is booked for a challenge on Cairney. Cairney hoists well over the bar from Babel's lay-off after a lively run from the former Red down the right. 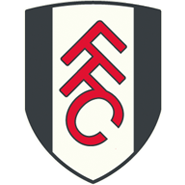 Lallana and Robertson open up Fulham with a one-two down the left - and the latter has a blast deflected away by the knee of Rico. Sadio Mane has scored 16 goals from open play in the Premier League this season, more than any other player - Man City's Sergio Aguero is second with 15. Sadio Mane has score nine goals in his last nine Premier League appearances. He's on fire at the moment. Salah's curler from distance is claimed by Rico at the second attempt. 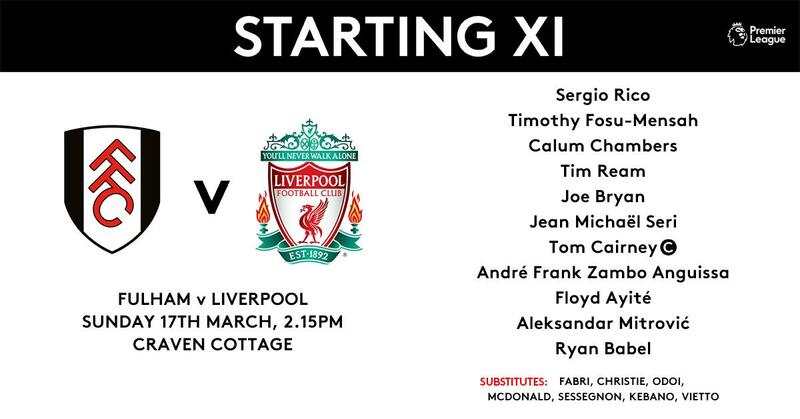 Liverpool have the lead at Craven Cottage - and the identity of the scorer will come as little surprise. Mane glides down the left, exchanges passes with Firmino, and slots beyond Rico with aplomb. Babel gets a shooting opportunity on the edge of the area and crashes it against Matip. Matip meets Alexander-Arnold's corner with a near-post header that he sends well wide of the far stick. Alexander-Arnold's delivery from the right bounces dangerously across the face of goal, but no-one is on hand to claim a touch. 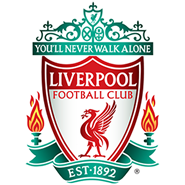 Matip's cross-field sends Robertson scampering into space down the left, but his low cross is claimed by Rico in the six-yard box. Seri curls over Alisson's crossbar from the corner of the box after being set up by Babel. Half-chance for Salah as he tries to pounce on Chambers' poor headed, but he can't get a proper connection on his shot. 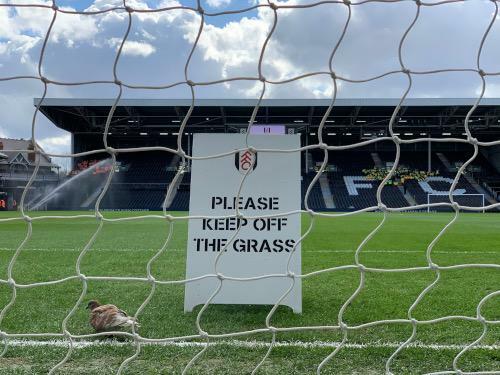 We're under way at Craven Cottage as Fulham kick the game off. A minute's applause is observed in memory of Zara Barka Harisson, a Fulham employee and Liverpool fan, who sadly passed away recently. 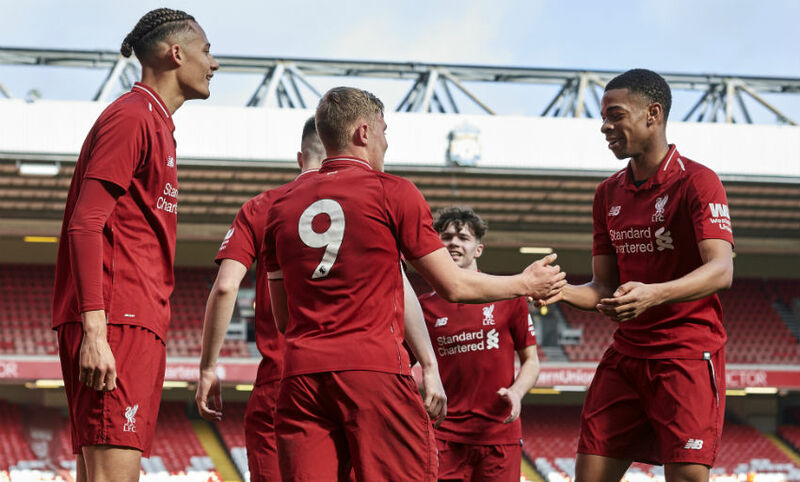 Liverpool's U18s have done it - they've reached the FA Youth Cup final after beating Watford 2-1 at Anfield thanks to a Paul Glatzel brace. The Reds will meet either Manchester City or West Bromwich Albion in the final. 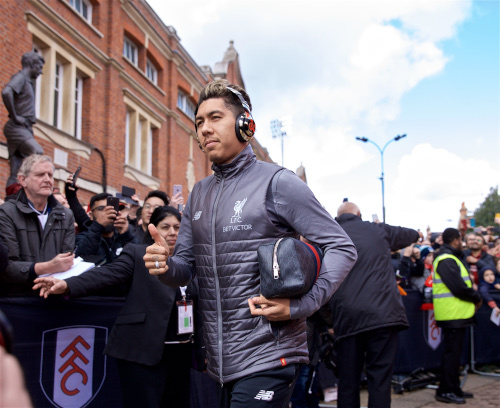 Two changes for Liverpool at Fulham as Fabinho and Adam Lallana come into the starting line-up in place of James Milner and the injured Jordan Henderson. Joel handles pre-match media obligations at Craven Cottage. The Reds have arrived at Craven Cottage. 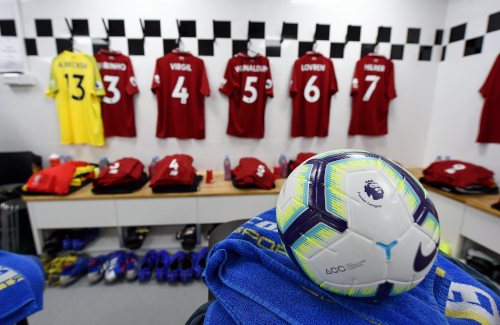 Stay tuned for team news at 1.15pm GMT. 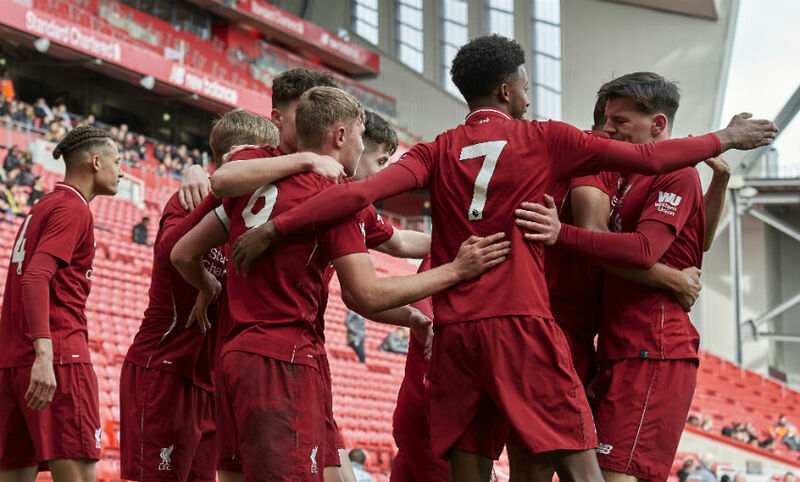 Liverpool U18s lead 2-0 at half-time in their FA Youth Cup semi-final against Watford at Anfield. Prolific striker Paul Glatzel has scored both - taking his tally for the season to 28. Two former Reds are here in the press room at Craven Cottage, with Jamie Carragher and Glen Johnson currently catching up ahead of the action getting under way. Both men were in the Liverpool starting XI when Daniel Sturridge scored a hat-trick in a 3-1 win in May 2013. Here it is, weather update fans. Here it is. 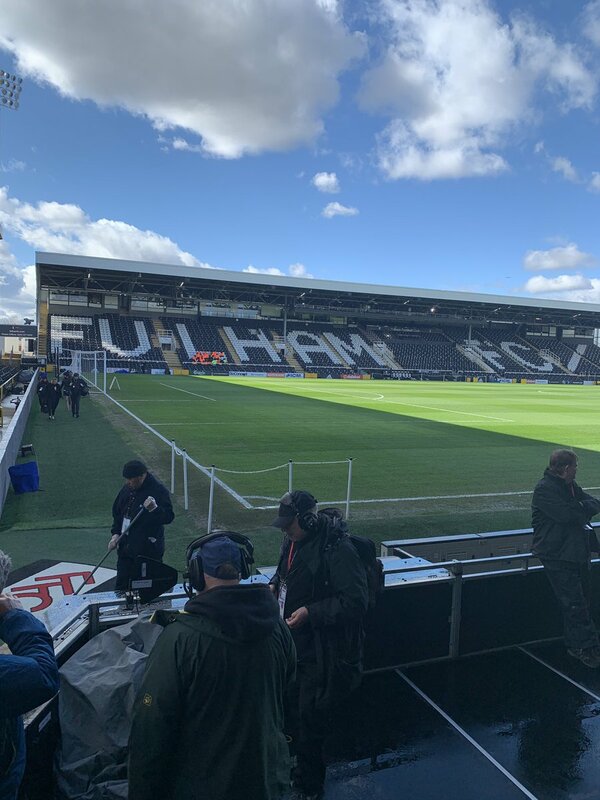 It's an overcast afternoon at Craven Cottage, with temperatures in the 'cool' region though there is no rain falling in the hours before kick-off. Coat or jacket recommended if you're heading to the stadium today. If you're not... ignore this message. Getting a bird's eye view. 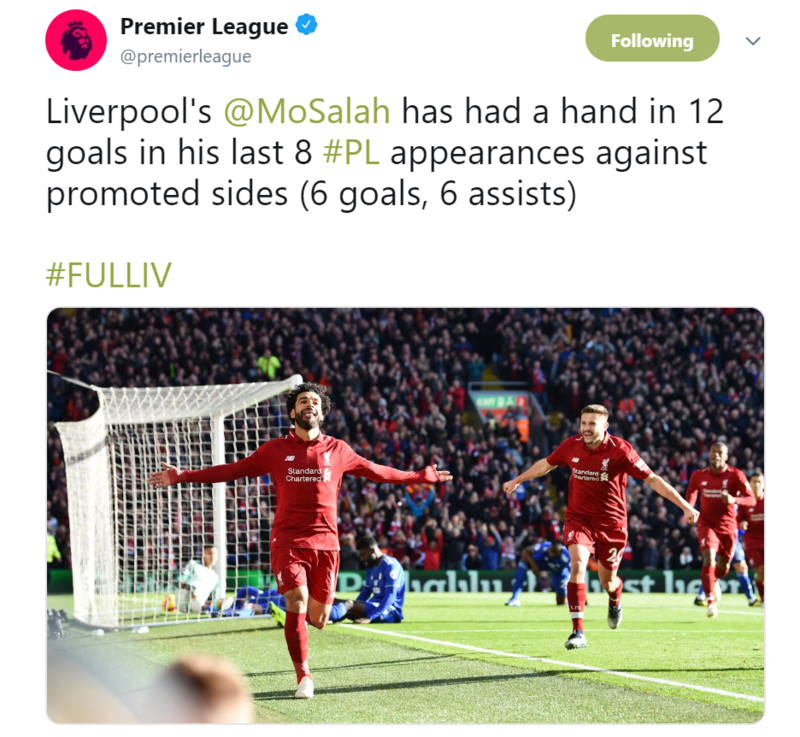 Can Mo do it again? 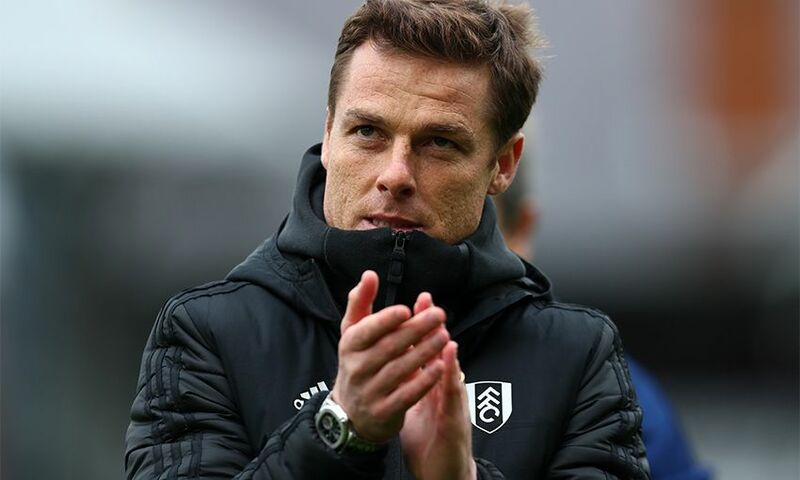 Fulham caretaker manager Scott Parker has spoken of his respect for the Reds in his matchday programme notes. "This afternoon we're up against a Liverpool side firmly challenging for the title," he writes. "Their 4-2 win against Burnley last weekend showed their character and resilience having gone a goal behind. 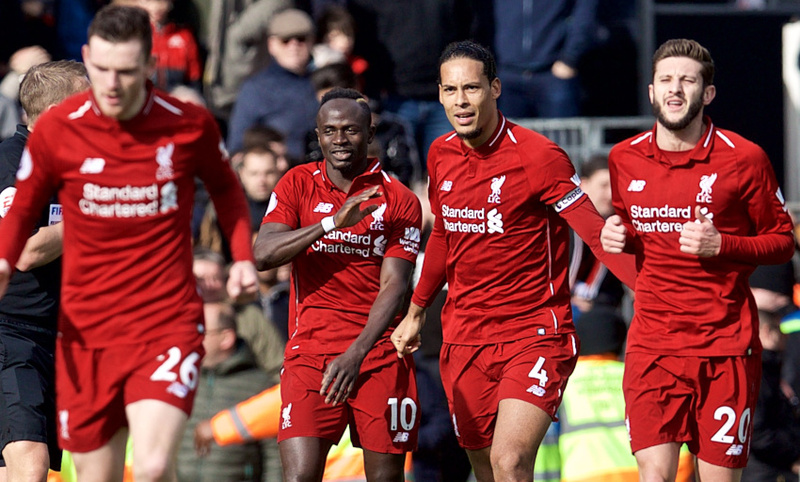 A win for them will move them to the top of the Premier League as we enter the final stretch of the campaign, so they will be fully motivated this afternoon. "Tests don't come much harder than today; we know we're up against an excellent side." Click here to take a look at their match markets and place a bet. 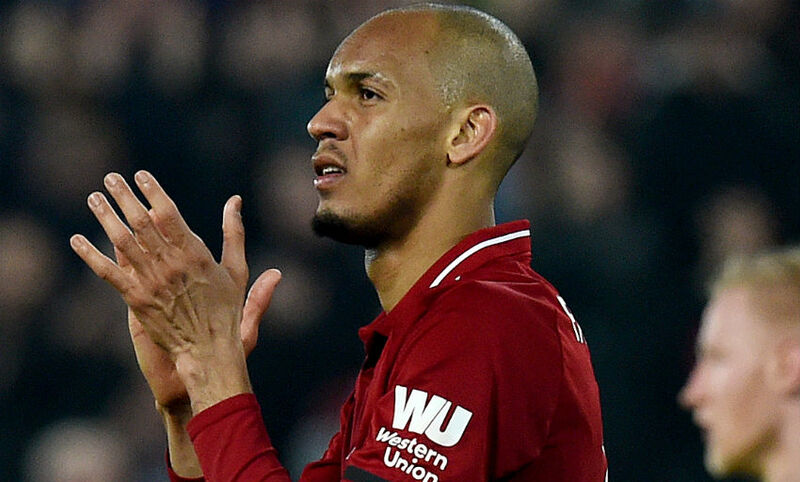 Fabinho has started 16 Premier League games for Liverpool, with the Reds winning 12 and drawing four of those matches. There's another big game on today too, you know. 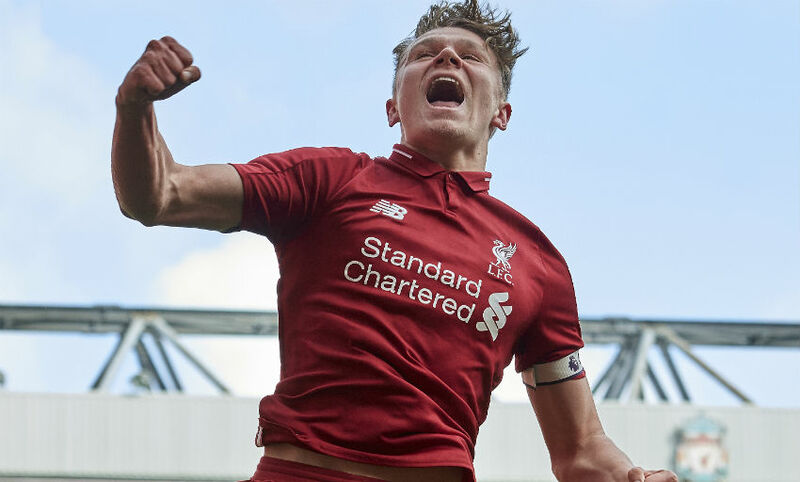 Liverpool are taking on Watford in the FA Youth Cup semi-finals at Anfield, with kick-off set for midday. We'll keep you posted on how the lads are getting on. 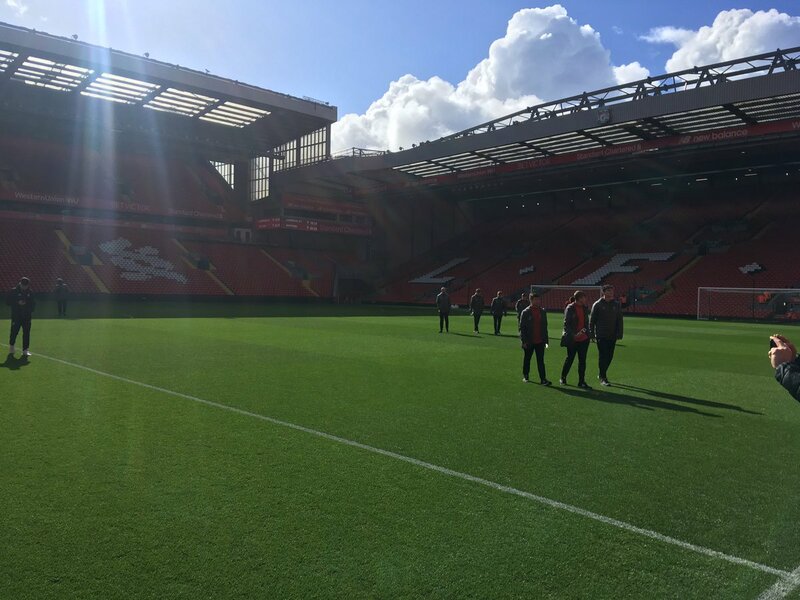 Anfield resplendent in the sunshine as LFC U18s have a stroll ahead of their Youth Cup semi v Warford. Kickoff noon. The Reds haven't played at Craven Cottage for just over five years. 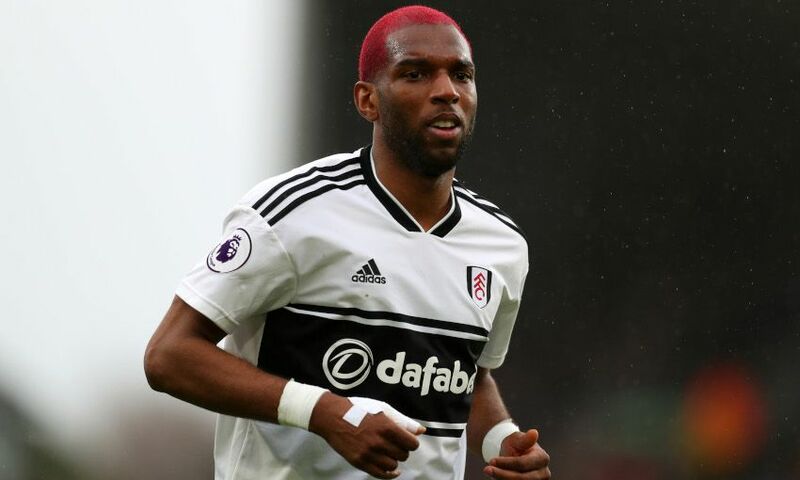 The Reds could come up against a familiar face this afternoon - Ryan Babel. The Dutchman played 146 times for Liverpool during his four-year Anfield career and is now at Fulham. 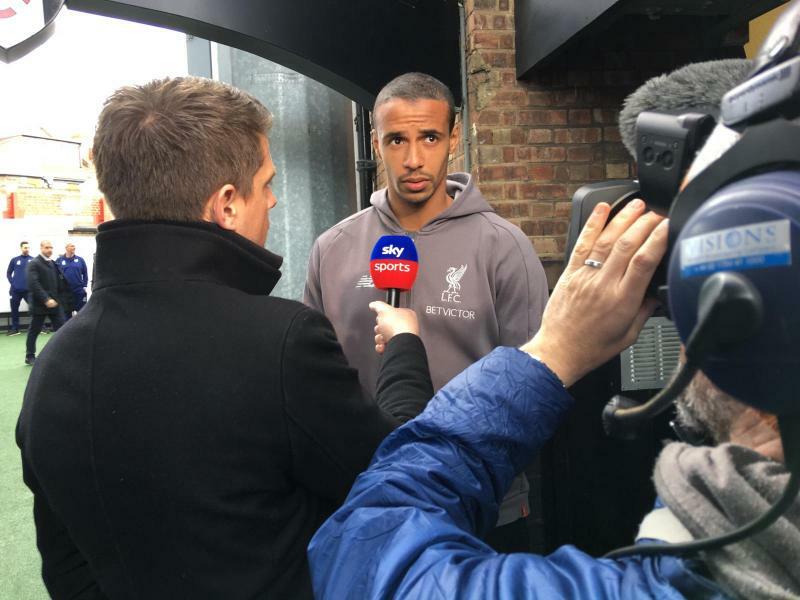 He's also an international teammate of Gini Wijnaldum and Virgil van Dijk, and our No.5 knows all about the forward's talents. 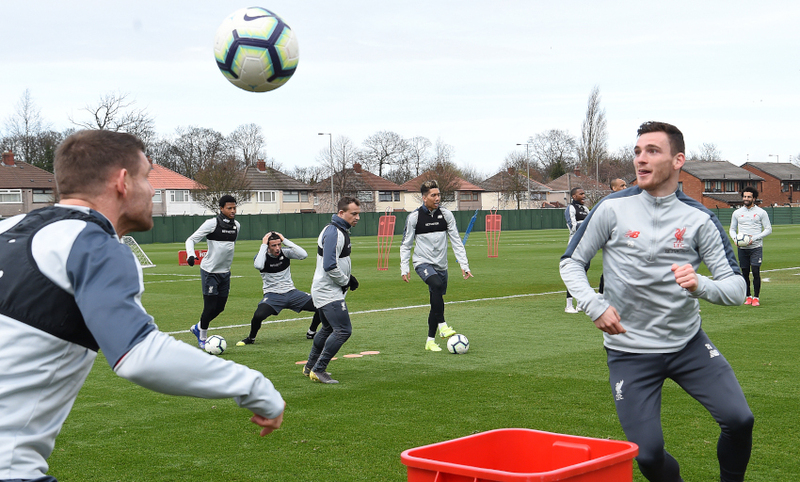 “I am really close with him,” Gini told Liverpoolfc.com. “We speak with each other quite often and we just speak about each other’s career. Beside that, we’re also good friends. I am happy to see him back, but unfortunately he plays for the team we are going to play against so I hope we can beat them. 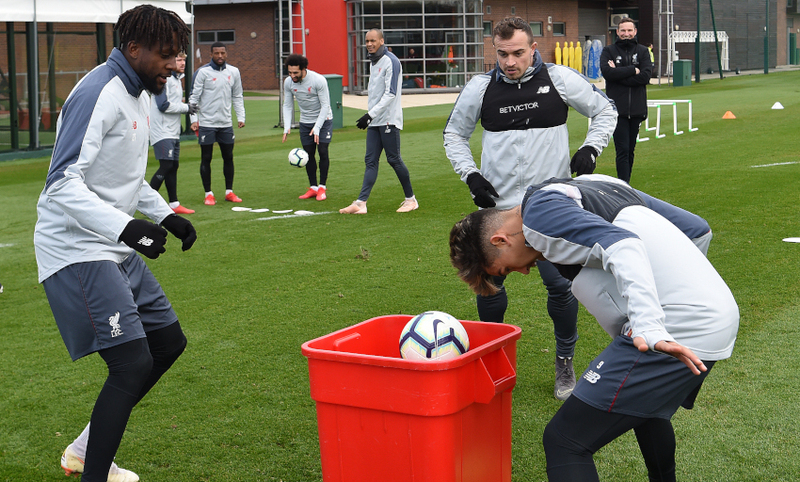 Heads and volleys... into a bin! So said Fulham boss Scott Parker in his pre-match press conference. "It’s a massive challenge [against] a team that are fighting at the right end of the table in terms of going for the championship, one full of individual quality that is up there with the world's best," stated Parker. "They’re a fantastic team and it's a big challenge for us as a team but one we're looking forward to." 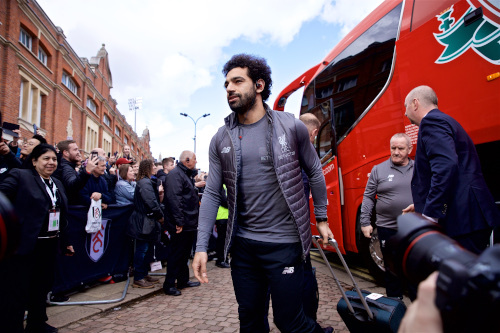 Goals in either half by Mohamed Salah and Xherdan Shaqiri settled the return fixture against Fulham at Anfield back in November. Same again today would be nice, lads! 2004-05 was a good season for Liverpool comebacks. Seven months before that night in Istanbul, the Reds came from two goals down to beat Fulham 4-2 at Craven Cottage. Xabi Alonso's introduction at half-time was a game-changer on that October afternoon - but can you remember eight of Rafa Benitez's starting line-up? 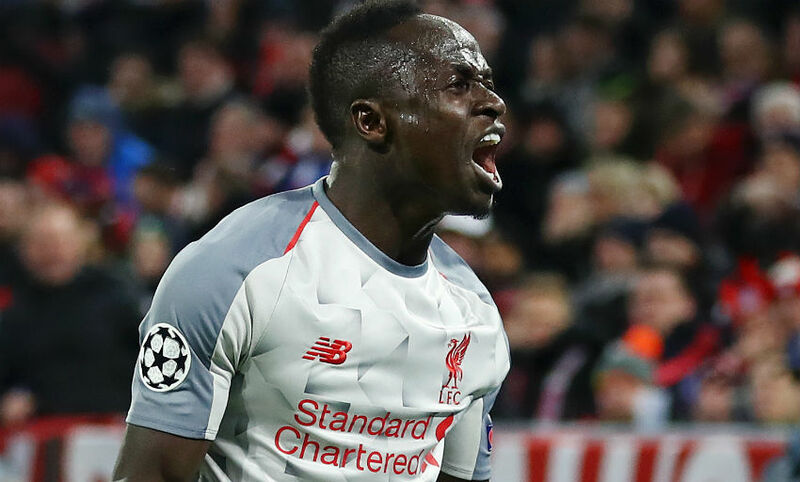 Sadio Mane scored twice in Munich to take his goal tally to 10 in his last 10 appearances. Our No.10's next goal will be his 20th of the season in all competitions, matching his total for the entirety of 2017-18. The Reds added another famous European night to the club's extensive collection by beating Bayern 3-1 at their own stadium on Wednesday. 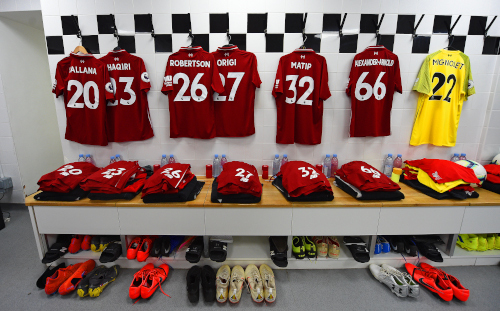 We'll bring you confirmed team news from Craven Cottage first at 1.15pm GMT, but we already know a bit about the selection options available to Klopp. 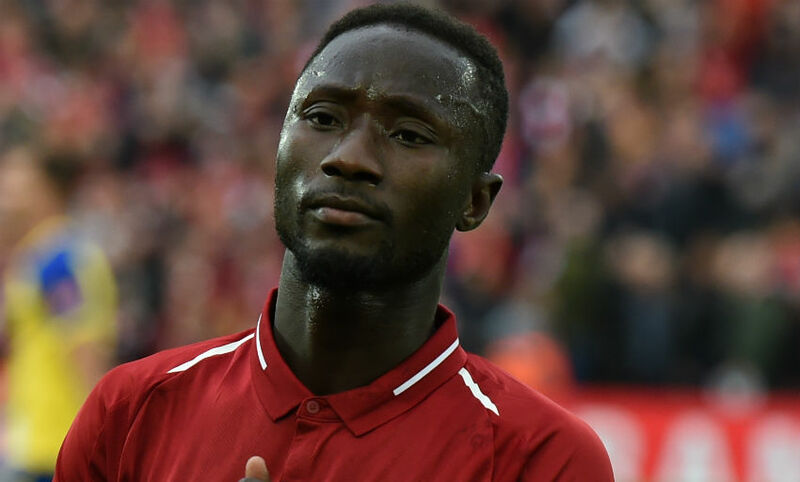 Jordan Henderson is out due to the ankle problem he picked up in the midweek win in Munich, but Naby Keita could return after he missed the match at the Allianz Arena with a minor injury. 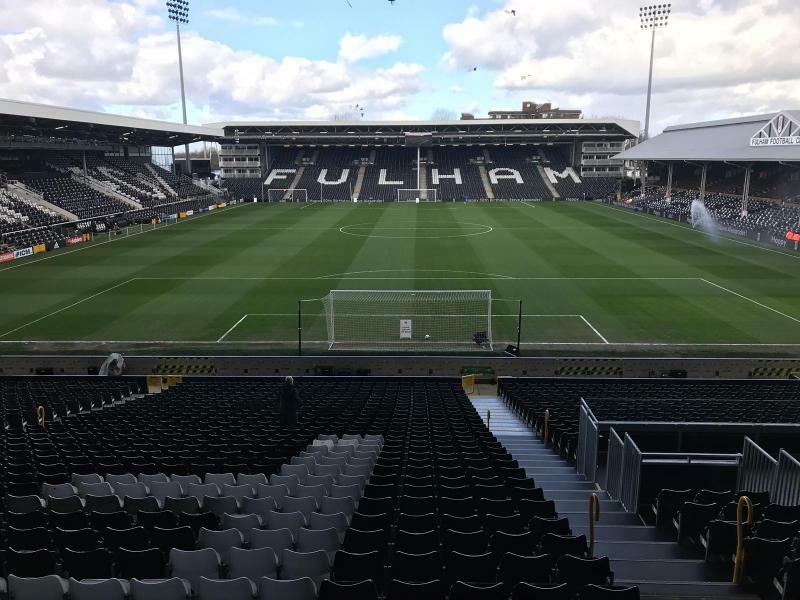 For Fulham, Andre Schurrle has missed the last four games with a virus, and Marcus Bettinelli’s knee problem has ruled him out of the previous six. Defender Alfie Mawson, meanwhile, has not played since December because of a knee injury of his own. 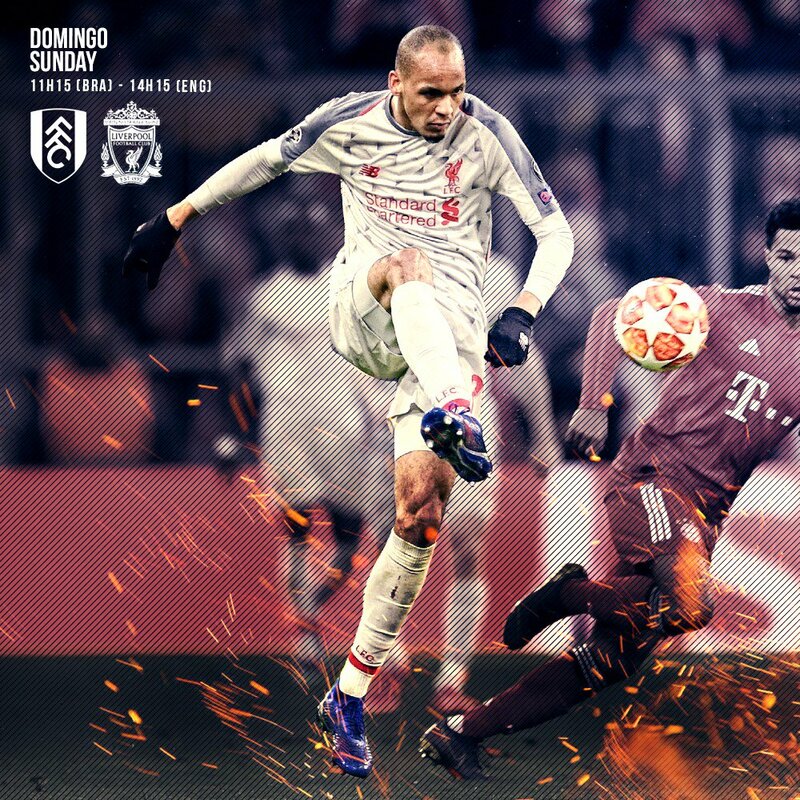 It's matchday again, and Liverpool visit Fulham this afternoon knowing that a win would take them back to the top of the table with Manchester City not in Premier League action this weekend. 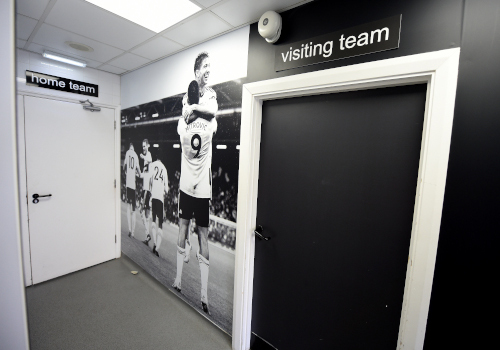 Stick with us for the most comprehensive live coverage of all the build-up, action and reaction from Craven Cottage.